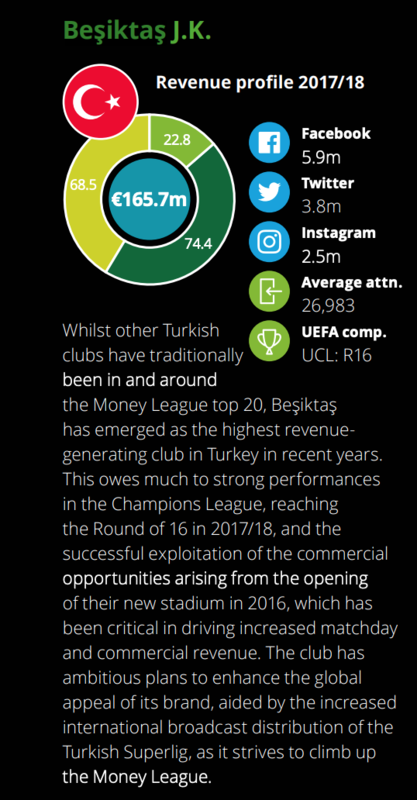 Besiktas were ranked 26th in the 2019 Deloitte Money League report. The Istanbul based side cruised through the Champions League group stage as undefeated leaders before crashing out in the second-round against Bayern Munich. The Black Eagles had a disappointing league campaign finishing fourth after back-to-back title-winning seasons the previous two campaigns. 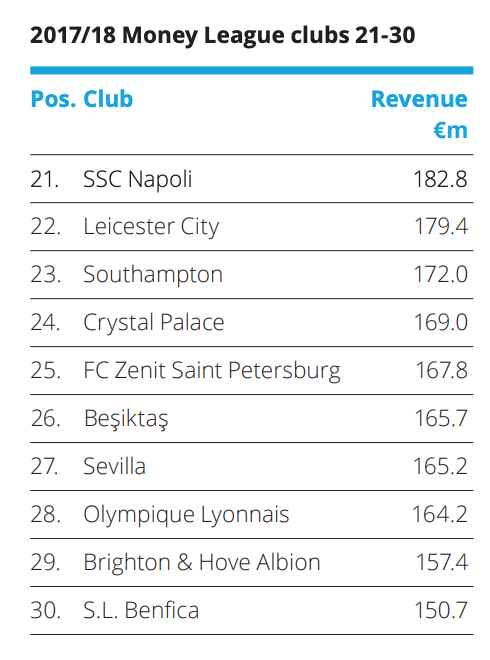 Besiktas made €165.7 million in revenues over the 2017-18 season and were one of three sides not from the Top 5 leagues in the Top 30. Besiktas were the sole representatives from the Super League in the Champions League this season earning the full amount from the revenue pool for Turkey. The club earned €74.4m from broadcast, €68.5m from commercial and €22.8m from match day revenues. 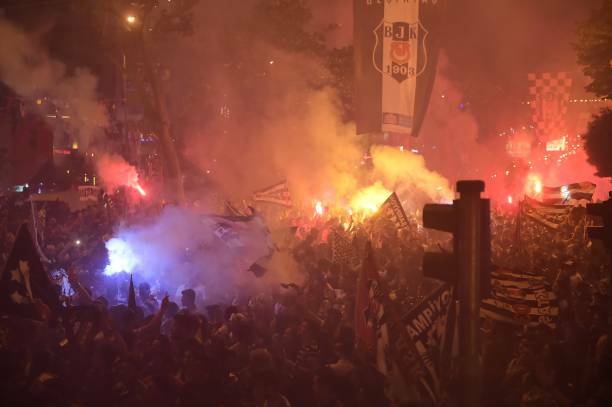 The figures showed a potential for increased revenues if Besiktas are able to increase average attendance which stood at 26,983 – the capacity of the Vodafone Park is 41,903. Additionally, Besiktas boast impressive social media numbers which have yet to be monetized. Despite boasting impressive revenues Besiktas have struggled with debt. The Black Eagles have paid over 30 percent interest on their debts over 1 billion TL and released a statement in 2018 that the debt situation is unsustainable. Since then Besiktas have been working on slashing the wage budget from over €90m last summer to the current €65m. The club plan to reduce the wage bill further to €40m. Additionally, the Turkish Football Federation have implemented a debt restructuring plan which will make repayments manageable.